Beautiful cottage in a great location. The cottage has been restored and modernised, and the result is a beautiful holiday home, ideal for a family break. Lovely cottage, well looked after and a wonderful welcoming feel. As we were staying in February I worried we might be cold but the heating warmed the place up very quickly and the wood burner is big and a joy to sit infront of. The kitchen was thoughtfully and well equipped and the whole property spotlessly clean. The property is closer to the main road than I expected but needn’t have worried as we didn’t hear any noise from it and there’s a gate to keep the children in! Lots of places to visit within a short drive and wonderful walks from the door. Would highly reccomend this property and plan to stay again. We thoroughly enjoyed our short stay. The cottage was incredibly cold unfortunately when we arrived and we had to leave the heating on all night to warm it up. It would have been nice if it could have been warmed up. Aside from this the beds were comfy, it was spotlessly clean and we would stop there again. The location is perfect for access to all the surrounding areas and we had a great time exploring Caenarfon, Llandudno, Conwy, Criccieth, Llanberis and Betws y Coed. 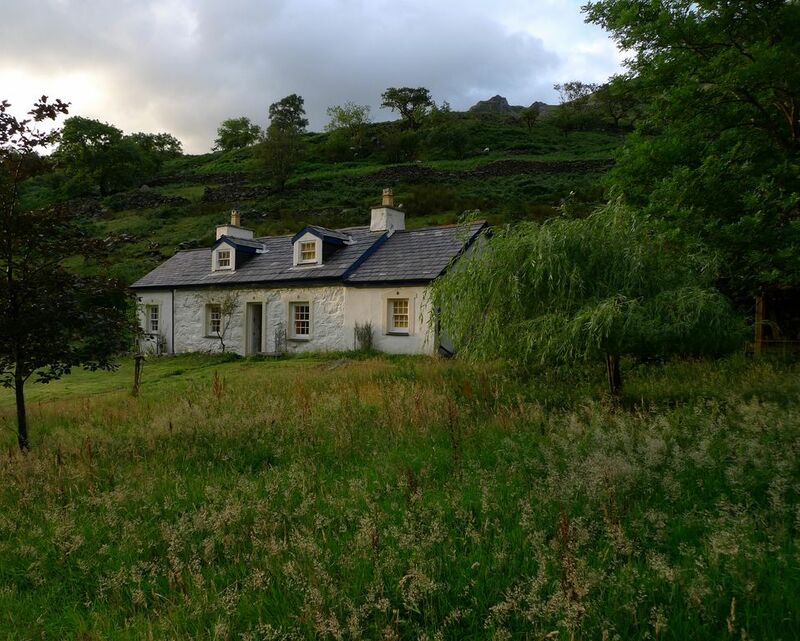 The cottage was idyllically situated between the Snowdon range and the Glyders. Unfortunately we found that it was cold, damp and smelt of mould when we first entered the building. The beds felt cold and damp. The fridge was closed and left on and smelt unpleasant when opened. The oven smelt greasy and the two grill pans were dirty and needed washing before use. The cooking pans were well used and several of them needed washing. The log-burner had been left full of ash and needed clearing out before use. I expected a little more from the cottage for the price we paid. The location and rustic charm of this property suited our needs perfectly. We arrived Friday and were thrilled to find a super kitchen, comfy beds, hot water and warm heating. A short walk to the bus/ taxi stop and we climbed Snowdon on Saturday, pub meal afterwards which was ok then lit the log burner and relaxed for the evening. Another walk Sunday and enjoyed the property for the rest of the day. En-suite bathroom gets quite steamy and bedroom started to feel a little damp, another form of drying clothes would be useful but no complaints and would love to return. Beaux plages de Anglesey à seulement 30 minutes en voiture, et la péninsule Lleyn 60 mins. Booking Notes: Please contact us to check availability. A 40% booking deposit will be required on booking, the balance is payable 1 month before use. We require a refundable damage/key deposit of £150 which is payable with the balance. Changeover Day: Changeover day is flexible - arrival after 2pm to allow for cleaning (unless otherwise agreed). Notes on prices: Mid week breaks and weekend breaks are available on request, please contact us for prices and availability.